Journal of Brain and Neurology is an international, open access, peer-reviewed journal publishing research articles, review articles, case reports, editorials, short communications, etc in all the related fields of neurology. Journal of Brain and Neurology provides a new platform for the researchers, scientists, scholars, students in this field to publish their research work & update the latest research information to the scientific community. We provide unlimited access towards accessing our literature centre with immense range of articles. 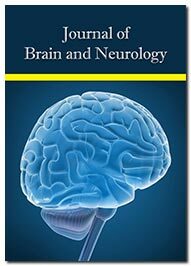 Journal of Brain and Neurology accepts articles from across the disciplines such as Brain informatics, Brain Injury, Cerebral Palsy, clinical neuroscience, Epilepsy, Epilepsy and Febrile Seizures, Neurobiology, Neurochemistry, Neuro-endocrinology, Neuro-epidemiology, Neuro-genetics, Neuroimaging, Neurological Sciences, Neuro-ophthalmology, Neuropathology, Neuro-pharmacology, Neuropsychiatry, Neuropsychology, Neuro-radiology, Neurorehabilitation, Psychopharmacology, etc. All Submitted articles are subjected to peer-review process prior to its publication to maintain the quality and the significance of the journal. The published articles are made freely and permanently accessible online immediately upon publication.